Described yesterday as one of the most important days in the club's history and yet no reporting whatsoever on who the runners and riders are and when an announcement is likely. I find that both surprising and disappointing. Is it that you don't know Jon or you have taken a vow of omertà ? I think silence until after Saturday; if we win Russ gets it. I think that we don't know anything and should just wait patiently like good little children. A reporter's job is surely to report. If they declare the day as being so momentous it seems extraordinary to get radio silence on the appointment, but coverage on the Tuffley Rovers score ? He probably has his puff piece about Milton written ready for if we win on Saturday. The political positioning of some of JP's articles since the start of the season (Johnson to go ; give Milton a third chance ; we need a former player as manager) have been both interesting and concerning in some respects. Straightforward up to date reporting would be welcomed rather than perpetual spinning. Yet many have a go when he reports on potential signings that we miss out on! His own views or lines fed by AW? I understand the need for caution regarding the reporting on signings ; but a new manager ? The thing is, the Board clearly are considering Russ and waiting until Saturday. If JP writes today that x and y experienced managers were interviewed and then we win 1-0 on Saturday and Russ gets the job, before losing four games 3-0 in a row the furore from fans knowing we turned down two better options would be considerable. This way JP is avoiding writing something he will have to row back on, and protecting the Board from a scenario as described above. His articles you refer too about Russ making an impact, and the new man must be an ex-Robin were just precursors. If Russ is appointed (and I cannot believe any sane rational board would appoint him) then I will have lost the little confidence I had in this board. Great chap I am sure, hopeless manager and leader. JP's articles post FGR match, refusing to attribute anything to Russ by way of blame, were shameful. Today’s interview was box-ticking pants as well. Jon is a fantastic reporter for the club and I cannot praise him enough but I do feel some of his articles recently have crossed the line and become too close to club proganda especially the nonsense about appointing former players. It would be disappointing if he is in the pocket of the board and equally disappointing if he views his allegiance to them rather than the readership (who are the supporters on the whole). It could be that the board have a preferred candidate and are now doing due diligence or sorting out financial matters - salary, length of contract, budget, compensation.....and there is genuinely no news. So rather than make s#!t up, JP's doing the decent thing. It's quite funny. JP does an opinion piece on how CTFC need a former player as the new manager and gets lambasted by some. Then, when he doesn't put a new story or opinion piece up, he gets lambasted. I guess it doesn't matter whether you're a player, manager, board member, chairman or news reporter - nobody is safe from the wrath of CTFC fans. Even some of the fans. I'm just amazed there aren't punch-ups between CTFC fans in the PRE every match. I'd rather no news than something made up to fill a gap. If he doesn't know the facts he can't write about them. Exactly. If he doesn't know for a fact who the candidates are then it would just be another opinion piece. Either that or he's been asked to keep it quiet for one reason or another. 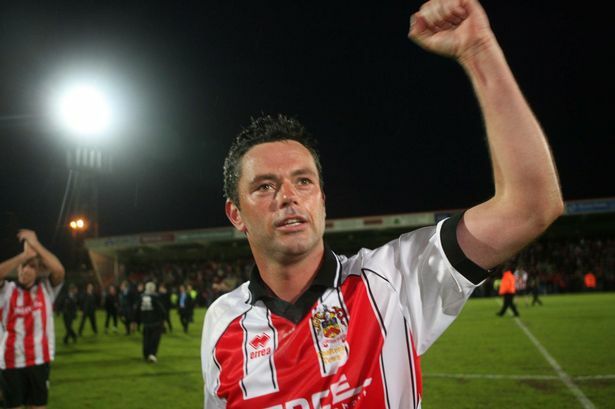 Latest update from Jon Palmer: Cheltenham Town are close to appointing a new manager following Wednesday’s interviews. The new boss could be at Saturday’s match against Northampton Town, but Russell Milton will be in charge of the team at Sixfields. The whole situation is becoming a joke. Desperate to sack GJ on that Tuesday night 150 odd miles away from home yet no obvious back up plan. Worst of all is the total lack of communication and what appears to be little regard of the fans from the club. everything this club does ends up drawn out, like us trying to sign Rowe, but on the matter of appointing the new pope oops manager I would rather they took their time and got the right man, than rush in like we did with Buckle and Allen. The right person might always be available next week. If we search for another month we find someone better...you have to draw a line at some point. Communicate what? We're looking for a new manager and interviewed some candidates? Hardly news! That gives clarity on the situation. Currently we only have hearsay that interviews have even happened, let alone anything else.